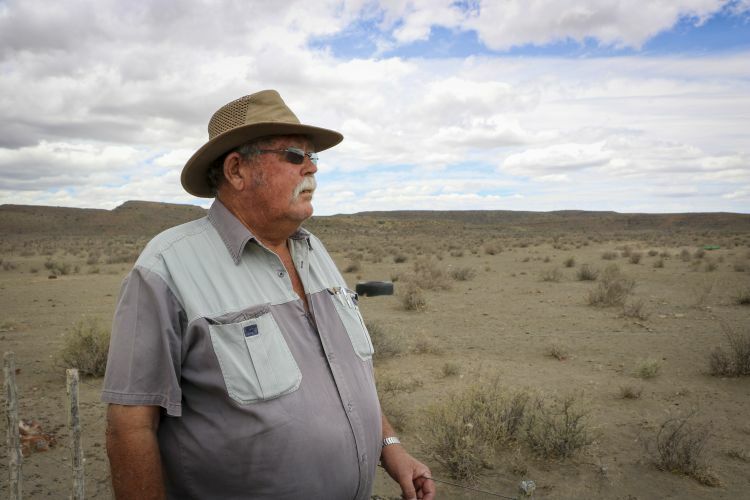 Voices from the drought-stricken Central Karoo. To anyone passing through Beaufort West, the town seems like a typical, quiet Karoo “dorpie”. But its problems run deep. 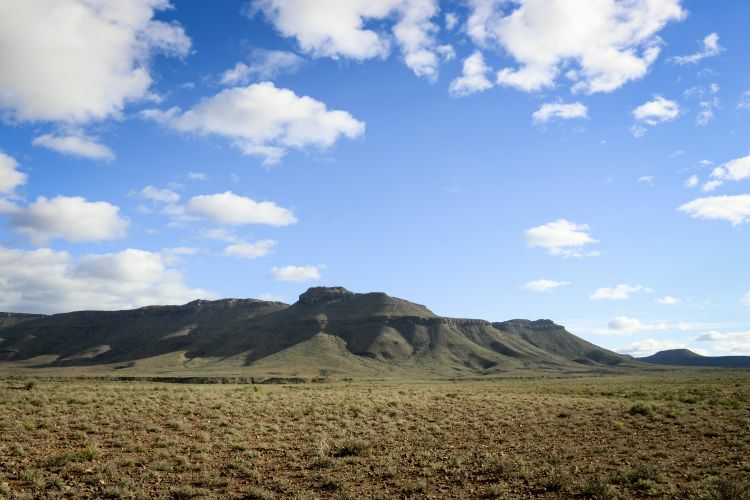 The “capital of the Karoo” proudly states that it is the country’s oldest municipality, but it also holds another, more undesirable title – that of the driest town. Its main water source, the Gamka Dam, dried up completely in November, leaving the municipality scrambling to sink more boreholes in order to keep taps open. Its failsafe – a sewage purification plant installed after a similar calamity in 2010 – remains precariously dependent on some kind of water flow through the town’s infrastructure. 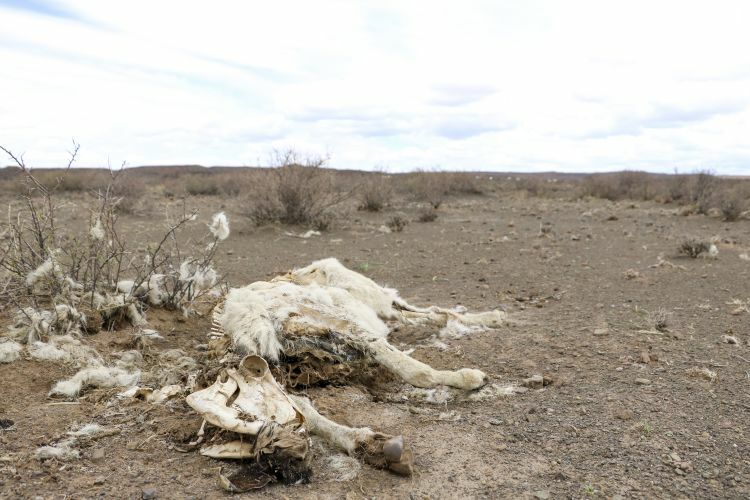 The arid Central Karoo district is the worst affected area in the Western Cape, as a devastating drought holds the province in its grip. Provincial leadership is majorly concerned about the impact on the agricultural sector, which is the backbone of the region’s economy. Even farmers who are accustomed to life in this arid region are finding their resolve tested as increasingly unseasonal, erratic rainfall drives some to the edge of despair. Others have no choice but to cling to the hope that the drought will soon break. This is the story of the people who reside in and around the town, and how their daily lives and livelihoods are affected by the protracted dry spell. 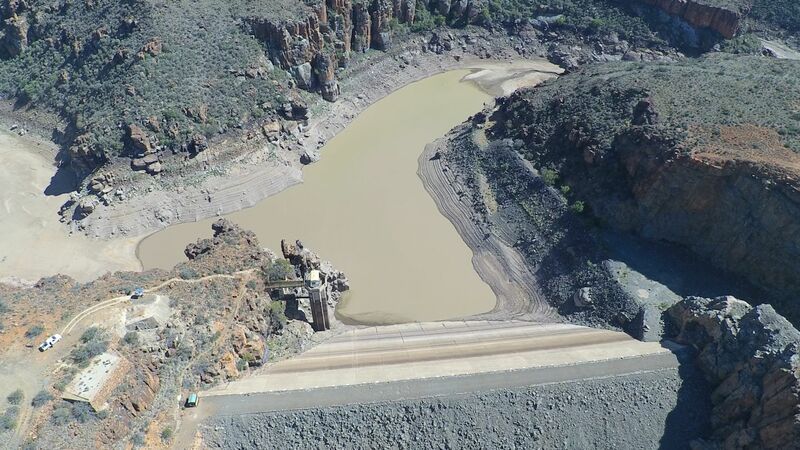 This is a window to a future where the Western Cape becomes ever drier. This is life without any guarantee of a steady water supply. This is the land of thirst. Like his father before him, Wynand Vivier lives for farming. 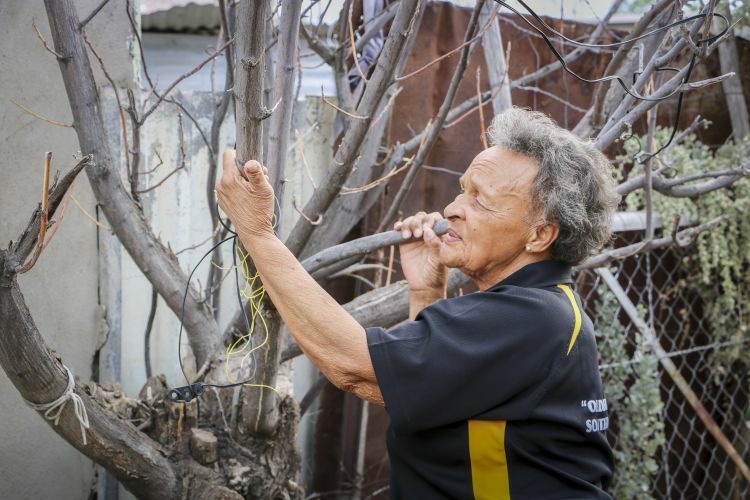 He grew up on Boesmanskop, an angora goat and sheep farm about 30km outside of Beaufort West, and has been running the family business since 1976. He gazes mournfully at his flock that rushed over towards his bakkie, desperate for food. It’s a sad sign of the times. Under normal circumstances, the animals would be more skittish and would get their sustenance by grazing on the vast farm. But these days they associate the vehicle’s arrival with a temporary end to their gnawing hunger. Even his dorper sheep – a breed known for its hardiness – now need fodder and supplements to survive. And it comes at a great expense. While the mielies and supplements he buys do keep the animals alive, there is no denying their weakened condition. A cold snap at a nearby farm higher up on the mountain finished off a herd of goats – their bodies not strong enough to handle the sudden drop in temperature. The “lick blocks” bought to provide extra nutrition for the animals, seem to have been responsible for killing at least three of his sheep. The animals ingested too much of one of the components, he speculates. But Vivier says his gates will remain open until the day he retires, because starting over is not an option. “The problem is my age. I am 64, so it’s not easy to go and borrow money and work it off,” he explains. He has resigned himself to the fact that his two children will not be following in his footsteps. Both earn a far better living in the city than they would out here. “There’s no good reason to bring your children to the farming business,” he says matter-of-factly. Farming used to be the lifeblood of this region, but times are changing. He laments that the only people still interested in buying Karoo farms are city folk from Cape Town, who dream of tranquil weekend getaways and have no intention of contributing to the local agricultural economy. When reaching pensionable age, and without offspring interested in carrying on with the business, most farmers opt to sell, he says with a shrug. Putting a rifle to their heads is easier for some farmers than watching their livelihoods waste away and permanently closing their gates, Agri Central Karoo Manager Dean Gous says. This year alone, two farmers in the surrounding area have committed suicide due to financial worries as the drought affects their profits. “You get to a point where the bank can’t help you,” he laments. Farming organisations have resorted to information sessions to discuss the implications of the drought, which Gous says is more than just the physical condition of the land and animals. The local economy is also suffering as the price of produce increases. And the repercussions will not be limited to the district, he warns. “Your meat prices will rise. It has already gone up from just over R50 to over R70, and even more. That is because there is nothing to market,” Gous says. The animals must be in a good condition to breed, or else they’re suffering, Gous stresses. Farmers are price-takers and don’t determine the sale price of their products, he explains. While farmers are benefiting from donations of fodder from their counterparts in the rest of the country, what the animals need is the plants on the land, “the natural stuff”. Government intervention has been woefully unsufficient, Gous says. “National government assisted once with a few bags of maize and supplies. That was in November last year. The rest of the monetary [support] comes from the Western Cape government. 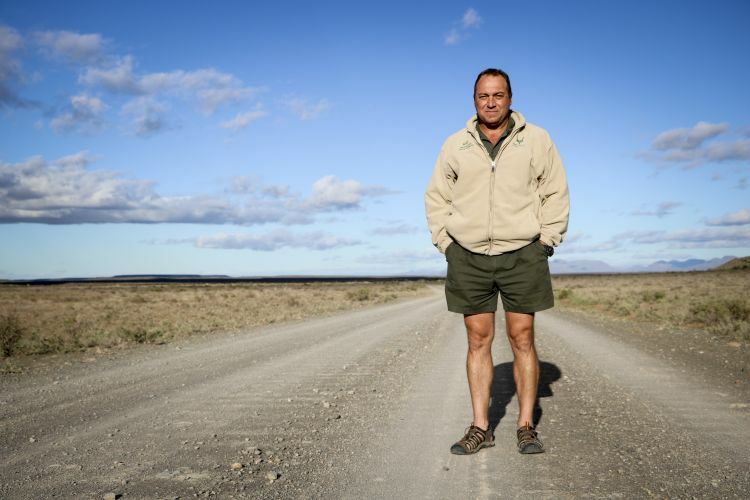 For Karoo National Parks Senior Section Ranger Riaan Nel, watching the condition of the game deteriorating is a disheartening experience. “And there’s not much we can do, because it is a natural system,” he explains. Established in 1979, the park is home to lions, zebras, kudus, eland and a range of other animals. 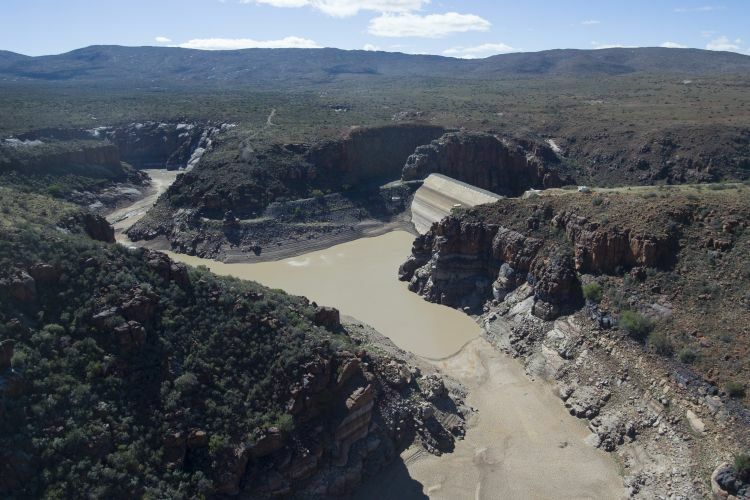 The annual rainfall at the park, just outside Beaufort West, has decreased over the last three to five years and has affected plant growth. 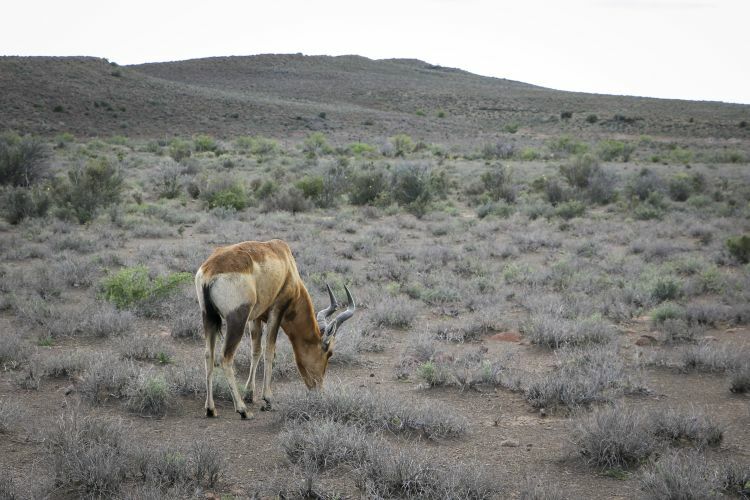 Since vegetation conditions have decreased, even hardened species such as gemsbok have deteriorated, he explains. Their artificial watering troughs, fed by borehole water, have become more crucial than ever, but even with this assistance wildlife is struggling. Nel’s main worry is that the long term forecast predicts an even drier season than the last. “The impact will be huge, especially in some species like your gemsbok, red hartebeest and kudu,” he foresees. On the outskirts of Beaufort West lies the town’s relatively small solution to a monumental problem. The size of its multimillion rand water purification plant is surprising, considering it supplies about 15% of the water needed for its 37 000 residents. Following the devastating drought of 2010, where rationing was introduced and tanks used to provide locals with water, the town became host to South Africa’s pilot sewage purifying system. The only problem with the water it produces is that it is too clean, explains the municipality’s engineering services director, Norwood Kotze. In fact, the water is cleansed so efficiently that it is stripped of everything, from bacteria to hormones, and has to be mixed with borehole water to “normalise” it. “Sewage water has a stigma attached to it – people think it’s impure. But this water is as clean as it gets,” Kotze says. A service provider established the plant, and the municipality pays for the purification. “It costs us in the region of R12 per kilolitre. It’s a costly exercise, but in the long run, you reclaim and can save a lot of water,” Kotze says. The system is a valuable fallback for a town that has already had a taste of “day zero”. But even this technology is not a total failsafe. After the Gamka Dam ran totally dry in November, the town is essentially reliant on its boreholes. If these too should run dry, there will be no more sewage to purify. Beaufort West Mayor Japie van der Linde says three new boreholes have recently been located near the town by the Council for Geoscience and non-profit organisation Gift of the Givers. This is apart from the five boreholes the municipality has located, but is struggling to attach these new boreholes to its system due to a lack of funds, despite amending its capital budget. A total of 32 boreholes with “strong water” are currently in use and its levels are monitored daily, Van der Linde confirms. Water saving campaigns over the past three months have also resulted in a 20% reduction in usage, and the municipality, which previously only fixed leaks emanating from outside water meters, now sees to every complaint. 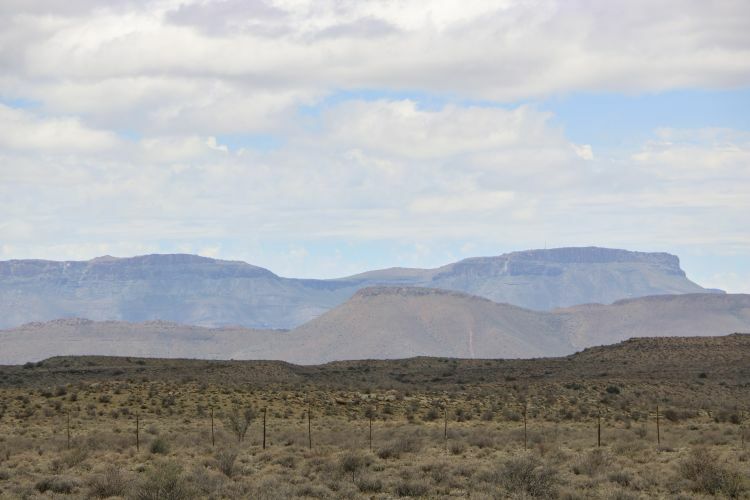 R23m is needed to add five additional boreholes located south-west of Beaufort West and funding, totalling about R11m, has already been promised, Van der Linde says. Everything is being done to avoid “day zero”, but since no one can be sure when boreholes will run dry, plans are in place to put tanks in strategic areas to provide locals with water, if it comes to that. Currently, each household has been limited to 12 kilolitres of water per month, with a penalty of 250% for every excess kiloliter used . Van der Linde hopes that with all these plans in place, the situation won’t escalate to necessitate water restrictions, and at the very least, prevent major damage to infrastructure that will occur if water stops flowing through the town’s pipes. “I am scared that the closing and opening of taps will result in burst pipes – we haven’t got enough plumbers to see to that,” he explains. But “day zero”’, Van der Linde says, is no longer at the forefront of his mind. He is more concerned about those who do not benefit from the town’s water supply and the knock-on effects on the local economy. 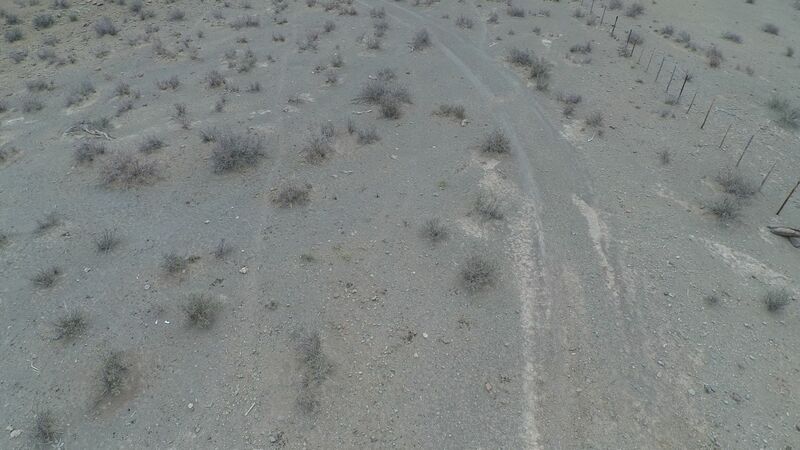 Lelie Street is a dry, dusty dirt road on the edge of Rustdene, a lower-income neighbourhood of Beaufort West. One property, however, boasts a small oasis of green in the front yard. Despite suffering from arthritis, 71-year-old Joan Jacobs is an avid gardener, but her once lush lawn has been reduced to bare soil. “My grass used to bring some colour to my home, but now it’s gone,” she laments. The drought has destroyed what she managed to grow in the three decades she has lived here. Now it is picking off the larger plants one by one. “I had six beautiful, age-old trees in my yard. Five have already died. This one is all I have left,” she says, pointing at the tree in front of her home. The pensioner pours thrice-used water on what is left of her garden in the hopes of keeping at least some plants alive. On Wednesdays, she ventures to town, where she buys cans of water from a small business for R3 – a discount for pensioners. She only baths once a week, limiting herself to washing herself in a “kommetjie” [tub] every morning. “I miss having a ‘lekker’ wash,” she confesses. Joan – who calls herself a “reën gogga” (or rain bug) – describes the joy the rains used to bring, and of running outside when the droplets started to fall. She recalls the drought in 2010, when she was forced to collect water from trucks parked in the area, and hopes that the current disaster will never reach those proportions again. Jacobs tries to use as little tap water as possible. On the odd occasion when the town is “blessed” with rain, Jacobs catches the water in buckets to use on her plants, or to wash her hair. She always stays within the free-water threshold because she can’t afford to pay if she exceeds it. When asked what message she has for other South Africans about what it&apos;s like to live with so little water, she leans forward and says bluntly: "One dies of thirst. They must use water very carefully."